Heat oven to 325°F. Lightly grease 2 doughnut pans. Pour batter evenly into doughnut pans, so each donut cup is about 3/4 full of batter. Bake 10 minutes until doughnuts spring back when lightly touched. Cool 10 minutes in pan, then transfer to a cooling rack to cool completely. 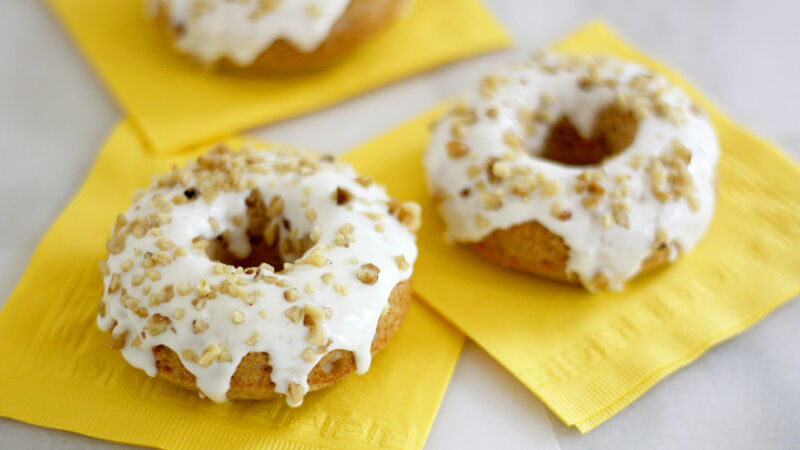 When doughnuts are fully cooled, drizzle tops with the glaze. Sprinkle with chopped walnuts, if desired.